Christina M. Gonzalez is an Associate Attorney with The Cromeens Law Firm, PLLC, where she focuses on practicing construction law, business law and civil litigation. Within these practices, she handles a range of contract disputes and reviews on an on-going basis to ensure compliance. 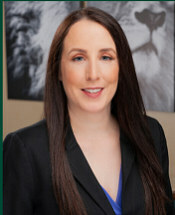 Prior to joining the firm, Christina served as Litigation Paralegal with The Ammons Law Firm, in Houston, TX, where she assisted attorneys with multiple cases concurrently, preparing and filing petitions and pleadings, drafting motions and responses and conducting legal research for a variety of clients. She earned her B.A. in Psychology from the University of Houston in 2014, and her J.D. from University of Houston Law Center in 2018.